Electric motorcycles are the world's future eco-friendly vehicles & are now becoming quite popular with police. Soon, an electric motorcycle will be used by police to tail you silently & quickly without sirens. 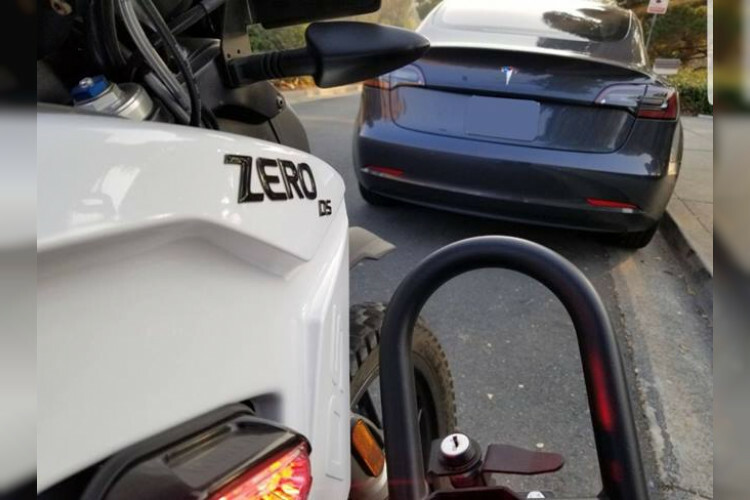 Zero DS Motorcycle has given a glimpse to the world of how it has rapidly and silently pulled over a fast & silent Tesla Model S car. Los Angeles Police has added 20 electric motorcycles as a pilot test.